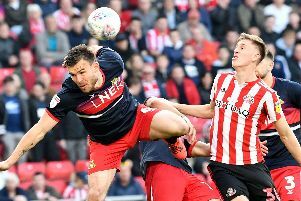 Fans’ Forum: Have Doncaster Rovers got what it takes to reach the play-offs? Rovers hope to return to winning ways against Colchester today. Members of our Fans’ Forum have been busy assessing the position Doncaster Rovers currently find themselves heading into the final straight of the League One season. Do they think Rovers have enough in the locker to finish in the top six? I’ve been one of those annoying fans going on about the ‘good old days,’ when clubs didn’t change managers all the time due to the slightest sign of trouble, and the game wasn’t dominated by money and greed. Sure enough, despite moments of admitted anxiety following the home defeat to Gillingham, Paul Dickov navigated us through those choppy waters into calmer, more consistent seas. While the board of directors and the chief executive are expected to talk about forward-thinking and sustainability, isn’t it also refreshing to hear a manager talk about his long-term plans for the club as well, rather than see us as a stepping stone to a bigger job at a bigger club as others have? I’m not going to name names, certainly not Dean Saunders, but you get the idea. We’re capable of reaching the play-offs, but perhaps more importantly, we need to absolutely ensure we’re ready for the Championship, lest we become condemned to the history books as a 21st century yo-yo club. We’ve had mixed fortunes of late. A good run of wins followed by two defeats marks us out as a plum average mid-table team which was always my expectation for the season. The fact that we’re in touch with the play-off pack is testament to the way the team have bonded and the impact of a couple of quality signings in the January window. Benchmarking against the other teams relegated from the Championship, we’re not in bad shape at all although the table is very tight as it’s been another very competitive season so far. If we do sneak into the top six, anything can happen but we will need to eradicate some of the simple mistakes that have crept back into our game if we are to do that. Final league position prediction: 10th. It has been a topsy-turvy season. The last month in particular has shown us at our best and worst. Our demolition of Crawley and then Yeovil was followed by dire performances against Port Vale and Bristol City. There is no doubt that January was a success in terms of signings but if we don’t reclaim some form from our strikers it will be all in vain. Sadly I think the play-offs will be just out of reach this season as we’ve failed to find some real consistency over the season. With a new lease of life at the Keepmoat and hopefully a summer free of takeover shenanigans we can complete our business early and challenge again. At the beginning of the season Rovers fans probably thought we would be higher in the table than we currently are, but given the start we had I think people ought to be pleased about the position we’re in. If we can get another run going now, then that final play-off spot is ours for the taking. It’s been a season of highs and lows. I just wish we could improve our home form - there seems to be a bit of a stigma attached to us at the Keepmoat. We pass the ball backwards too much for my liking too. I’d like to see us be a bit more direct. I believe in Paul Dickov though. There were lots of moans and groans about him earlier in the season but he’s done an excellent job considering he’s not had much money to spend.